Metal globe award on premium rosewood base. 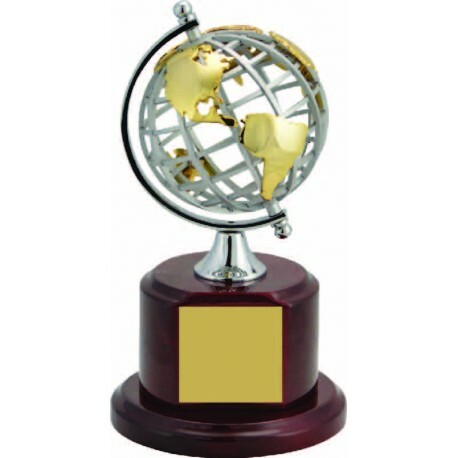 Elegant & sophisticated comes to mind when presenting this world trophy to a colleague or group. Great detail and quality craftsmanship in our corporate awards are the perfect way to say thanks or good luck in your retirement.